One in three American adults has nothing saved for retirement — here's how to change that. 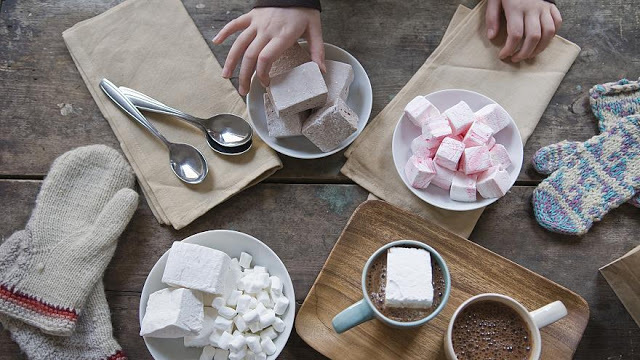 Would you rather have one marshmallow now — or two marshmallows later? It's an iconic scenario made famous by psychologist Walter Mischel, the administrator of the 1960s "marshmallow test" measuring self-control and instant gratification. Most people go for the here and now. Swap out marshmallows with money, and you've got an all-too-common problem for the modern-day: People everywhere feel behind on saving for retirement. In fact, one in three American adults has nothing at all socked away, according to a survey by GOBankingRates. If that hits close to home, never fear. We've laid out some of the biggest obstacles we put in our own way when it comes to retirement saving — plus, how to get past them. Why we do it: It's an ego thing. We tend to think we're different; we're special and that nothing bad will ever happen to us, say Dr. Daniel Crosby, psychologist and president of Nocturne Capital. For example, we're more likely to entertain the idea we'll win the lottery than to think about our chances of divorce, cancer and other negative possibilities. This type of confidence can benefit us in some areas of life, but when it comes to finance — especially long-term savings — it can hurt us in the long run. Many people who are behind on savings think they'll make up for it by working forever, but unexpected events and health concerns can put a wrench in those plans. In a survey by Prudential Retirement of over 20,000 401(k) plan participants, 22 percent said "optimism bias" was their greatest challenge when it comes to retirement savings. The fix: Aim to compartmentalize your rosy outlook. This type of confidence can insulate your feelings of self-worth and make you happier, but "know it has no place in investing," says Crosby. Block out some time on your calendar to do a "retirement reality check," says Snezana Zlatar, a senior vice president at Prudential Retirement. Use a retirement calculator like this one to see where you stand realistically, and then adjust your savings plan based on the results. And if you don't have a savings plan? It's not too late to make one to get your savings closer to where you'd like them to be. Take full advantage of your workplace retirement plan and any available matching dollars, and automate savings to come directly out of each paycheck. If you don't have a workplace plan, mimic one by automating contributions into an IRA. Why we do it: Whether we like it or not, there's an emotional component to every decision we make. That's why research shows that people with serious injuries to the emotional centers of their brain can't make certain decisions, such as which tie to wear or what to have for breakfast in the morning. The kicker: Since fear doesn't affect their decisions, they tend to beat neurotypical people in investment tasks. The lesson here: "None of us should be suckered into thinking we aren't emotional about money — because we absolutely are," says Crosby. The key is to know how to use those emotions to your advantage. The fix: Instead of letting an emotion like fear or insecurity keep you out of the stock market, flip the switch and use them to keep you aligned with your long-term goals. Research shows that low-income savers who looked at a photo of their children before making a big financial decision saved over 200 percent more than those who didn't. Or, consider values-based investing — putting your money in investments that support causes you believe in — to help you stay the course. (You're less likely to pull money away from funding something you really care about.) And if you're still worried about the markets? Take a quiz to determine your risk tolerance, and then get started with the asset allocation that's right for you. (Many investing platforms offer risk tolerance questionnaires — here are two from Vanguard and Charles Schwab.) "For the average American investor, the risk is not that they're going to lose 25 percent or 30 percent in the stock market," says Crosby. "The risk is that they're not going to compound it fast enough to get to where they want to go." Why we do it: In Prudential's survey, 26 percent of respondents said procrastination was their biggest savings challenge. The idea that our brains are wired for short-term thinking plays a big part in this. Humans are about 2.5 times as upset about a loss as we are pleased by a comparably sized gain, says Crosby, and it can be difficult to imagine a gain so far in the future. Plus, the idea of compound interest — and how much of an impact it can have on our bottom lines — can be hard to wrap our minds around. The fix: Think about what you specifically want your own retirement to look like. Then, in your mind, replace the vague idea of "retirement" with something concrete, like a beach house with a view of the bay, traveling with your partner or having more free time to spend with your family. Every time you think about retirement, picture your goal. Even better, look at it every day on a vision board, whether online (on Pinterest, for example) or on your wall. And if you need to give yourself a serious reality check to get moving? "Get educated about how much of a difference a few years' delay might have on your ability to retire on your own terms," says Zlatar. Play around with a compound interest calculator like this one to see how much you could gain in the long term by starting to save sooner rather than later.